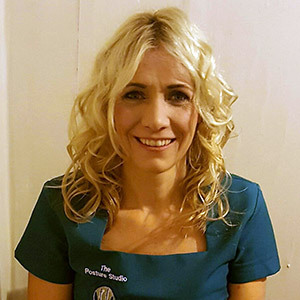 The Posture Studio at Evolv Health & Wellbeing Store in Enniscorthy is led by Mary O’Leary, who herself began to study posture issues and Structural Integration after it cured crippling pains in her shoulder and hip. Mary had tried many treatments prior to that, but to no avail. She read about Structural Integration and Rolfing (a technique of deep tissue manipulation aimed at the release and realignment of the body, and the reduction of muscular and psychic tension), and decided to give it a try. It helped to rid her of old injuries and regain and improve her vitality, mobility, and posture. There was nobody providing this service in County Wexford at the time so Mary decided to study and qualify in this amazing treatment herself, to make it easier for others to benefit from it too. The Posture Studio operates at Evolv Health & Wellbeing Store every Monday, and helps people to walk straighter, taller, and free of pain. Structural Integration assesses the body in relation to itself and gravity. It uses tissue manipulation and joint movements to reposition the body and educate structure, posture, and movement. Connective tissue surrounds, supports and penetrates all the muscles, bones, nerves and organs of the body. Organisation of this support system and movement education, tension and holding throughout the whole body, results in a more integrated, balanced, and aligned structure.